People worry about burglaries when they are vacation. 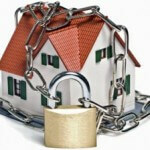 In truth, the over-all likelihood of being burglarized is just as great whether you are in town or out of town. This is because an overwhelming number of burglaries happen during the day when you are at work. As such the best defense is to have your home as burglar-proof as possible beforehand. Burglar-proofing your home is not a difficult process and can easily be done on a weekend. Having said that, there are still things that you can to decrease your chances of being burglarized while you are away on vacation or if you are away on business frequently. The reason is local teenage hoodlums are the ones most likely to strike while you are away on vacation. It is they, walking by the house who will notice that your home is deserted. Most of the advice here is designed to create an illusion of occupation. While illusion and deception is the least effective means of home security, it is still an important part of the process of crime prevention. Tip #1 Put your mail on hold. This is mostly for on the street mail boxes or apartment boxes. However, if you have an mail slot in your door you might also want to consider doing this if anyone can look through a window and see the mail stacking up. A great number of modern decorative doors have windows that would allow someone to see collecting mail. In any case, remember that we are talking about the US post office, so tell them to stop your mail a couple of days before you leave. If you don’t do this mail can still be delivered and be left on the floor. Tip #2 Put your newspaper on hold. Newspapers collecting on your driveway indicate your absence. When you call the newspaper do not tell them that you are going on vacation. Just tell them you are going to be too busy to read it for the next week. In fact, other than police/security company/post office it’s best not to mention that you will be out of town. The reason is that occasionally a “girlfriend” will take a position where she can feed information to a burglary ring about people being out of town. While the chances are slim of this occurring, it’s still best not to risk it. Timers come in a wide variety from a programmable, computerized home to a simple plug in that you plug a lamp into.. Have two or three rooms equipped so the lights go on and off at various times. Also leave the light over the stove on all the time, as the kitchen is one room that tends to have lights on the most. A deserted house “feels” empty. People make noise, noise means vibrations. The difference between the vibrations of music and conversation are in the timing. Music is far more consistent, whereas speech is more erratic. This broken pattern is more consistent with someone being home. By turning your stereo on a talk station instead of a music station it creates a more realistic impression that someone is home. The same effect is created by having a TV turn itself on in the afternoon and evening. (A note on cost. Modern TVs do not draw as much electricity as older ones did. As such it is not that expensive to leave a TV on for the noise. Even when you in town, your phone message should never say that you are not home. Set the machine to answer in five rings, answering too soon or too late indicate nobody at home. Five rings could be that you really can’t get to the phone. In consolidated phone/answering machine models turn down the ringer. In separate phone answering machine systems unplug phone from the machine. There is some debate about leaving drapes open or closed. Some maintain that by closing them you indicate that you are not at home. Others maintain that by leaving them open in order to look like you are at home you invite look-ins by potential burglars. Still others recommend a combination, leaving some open (that look into rooms where there is little of value) while closing others those that look into what should be occupied rooms. A nice compromise is to leave upstairs curtains open while first floor drapes shut. Whatever your decision remove expensive and inviting items from view from outside the window. This is another debated tactic. Some highly recommend it to make it look like someone is home. Others maintain that a car that doesn’t move is a tip off. Still others recommend offering your neighbor a place to park. You might want to do a combination or if you are in a neighborhood where cars are not normally parked in the driveway, skip it all together. Make your backyard inaccessible. Padlocking your gates when you are at home can be inconvenient, but the advantages of doing it while you are on vacation are great. It not only makes getting into the backyard more difficult (not impossible mind you, just difficult), but it seriously hinders getting out while carrying items like stereos and computers. This difficulty level serves as a strong deterrent. This isn’t necessarily a vacation/home security tip, but it works as one. Find a young, reliable neighborhood teenager and pay him or her a monthly fee to do certain chores for you. This is a great way to get your lawn mowed, your trash taken out, sidewalks shoveled and leaves raked. All of which will disguise the fact that you are not home. Younger, 10 -14 year olds tend to take these responsibilities very seriously and also serve as someone to watch your house for you even when you are in town. In case of problems, leave a contact number that you can be reached at. Some experts recommend leaving a key as well, if you are uncomfortable with that, leave a key with a close friend or local family member and give your neighbor that person’s number. If you have hired a young caretaker, this person can be the same. Make a circuit of your home to check that all windows and doors are secure and locked. As obvious as this may sound, quite often in the rush to get out the door this can be overlooked. This is another one of those it should be so obvious, and yet people forget it all the time. In fact, it might help to make a check-list of things to do before you walk out the door. It should go without saying that you should inform your security service provider, but informing the police is an extra layer of protection as they will often schedule extra drive bys to make sure your home is safe. Although Hollywood would give you the impression that any teenager without adult supervision will automatically throw a party that will destroy your home, that is just not true. Next to making your home difficult to break in, your best burglary defense is to hire a house-sitter. How many college students do you know won’t jump at the chance to make extra money by just sleeping at somewhere?